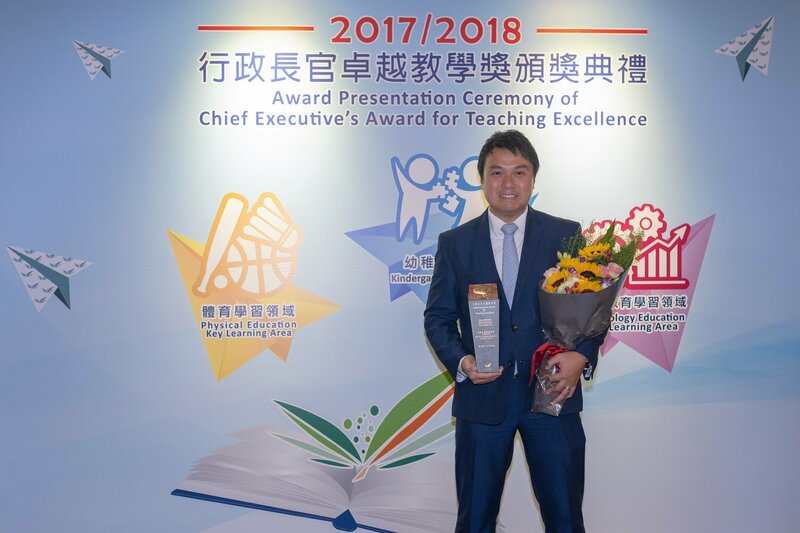 Yan Siu-kang, a graduate of the Mix-mode Bachelor of Education (Secondary) programme in 2006 at The Education University of Hong Kong (EdUHK), was awarded the Chief Executive’s Award for Teaching Excellence for the 2017/2018 academic year. Currently teaching at the HHCKLA Buddhist Ching Kok Secondary School, Yan is highly recognised in his profession and has been awarded a number of excellent coach awards throughout the years. He never hesitates to share his experience with peers. He devotes himself to the community because he believes his contribution can raise the profession of physical education. To ensure that each student reaches their potential, Yan has developed a wide range of physical education curriculum and activities to cultivate students’ generic skills and foster their positive attitude and values. He uses innovative approaches to pedagogy with due consideration of students’ needs and aspirations. Beyond lesson planning, he is keen to assist senior students as they develop leadership skills by providing substantial opportunities to organise physical activities. 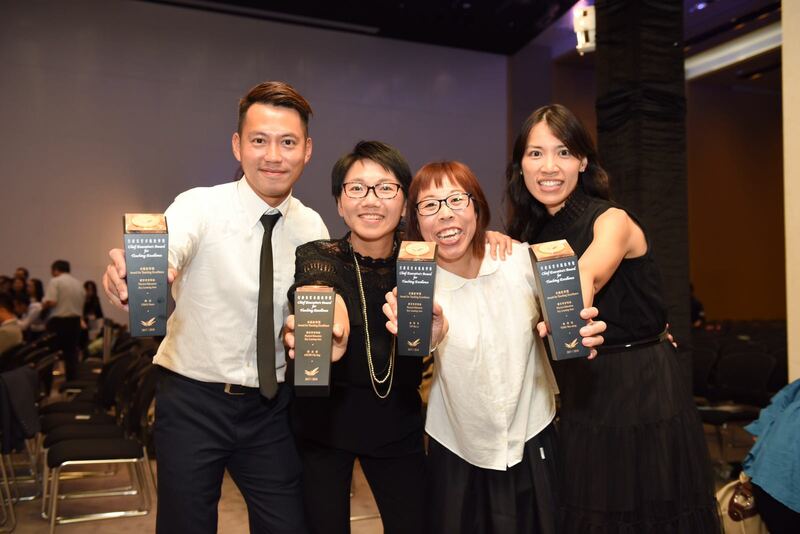 Another four alumni at the Baptist (Sha Tin Wai) Lui Ming Choi Primary School were also honoured for their enthusiasm for physical education. They are Leung Chi-ling (2004) and Tong Wai-ching (2006) from the Bachelor of Education (Physical Education) programme; Genis Chan (2013) and Yip Hoi-yi (2005) from the Postgraduate Diploma in Education (Primary) programme. They all help their students to develop an active and healthy lifestyle through a wide range of sports skills and knowledge. In addition to using different strategies to arouse students’ motivation, they have created a healthy school environment through a variety of activities on campus, including ensuring that students have at least 60 minutes of moderate to vigorous physical activity daily. With positive reinforcement, they encourage students to participate in various activities and accumulate successful experiences, leading to accomplishment.